read. watch. listen. : FCPL Poetry Contest Begins April 1st! 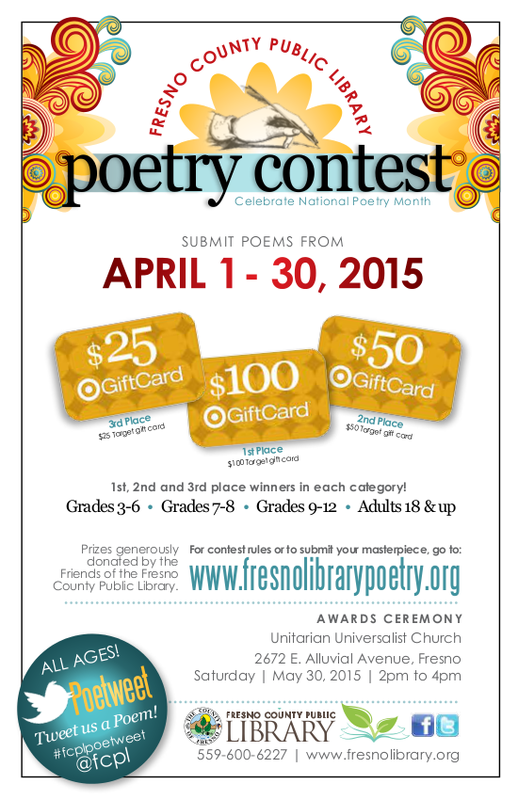 FCPL Poetry Contest Begins April 1st! FCPL's annual poetry contest is set to start on April 1st, so make sure to get your best poem in! Winners from four age divisions will be announced and given Target gift cards. Check out our blog here to get more information and find out how you can submit your poem. Good luck!